Located in Camperdown, a 50-minute drive from Durban central, Tala has welcomed its first local and international visitors for 2019 after a soft reopening last year. Dream Hotels & Resorts which currently operates 22 mixed-use properties across South Africa and Mozambique, says the future of Tala Game Reserve is now secure. 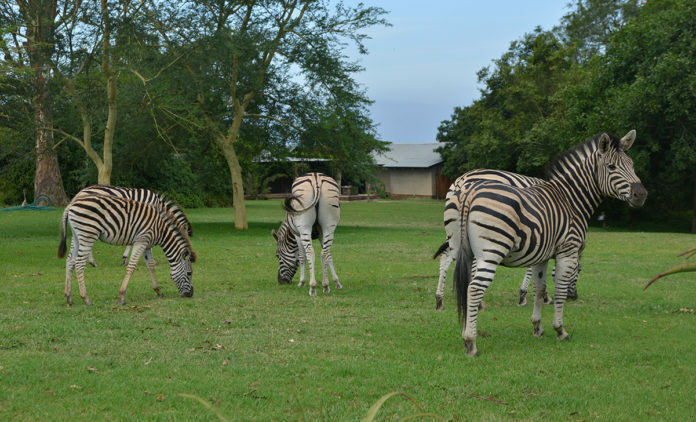 The reserve spans a 3000-hectare malaria-free area and features a mix of accommodation, wedding and conferencing options catering to different markets, budgets and group sizes. Tala has been hosting school groups for the last 10 years, with kids from all over coming to enjoy nature, animals and the outdoors. Birding: More than 380 bird species are found at Tala, with numerous dams, perfect for the avid birdwatcher. There are currently no large predators on the reserve, apart from jackals and caracals, which hunt across the plains at night. “Wildlife viewing is relaxed and easy at any time of the day. This also makes Tala safe for families and visitors who want to explore on their private self-drives,” says Ragunanan. 4×4 Tours: Whether you are an experienced 4×4 driver or a novice needing to learn, tala has the facilities you are looking for. There is an extensive 4×4 trail along with a training area with obstacles for practice and testing. Adventure bikes: Tala also offers an adventure bike training facility and guided tours available only via prior arrangement. Mountain biking: Tala is also ideal for mountain bikers who only need to pay a R70 conservation fee to enter the reserve. Bike rentals are available for the day. Cycling routes range from a 5-kilometre novice loop, to a 13-kilometre intermediate loop with mostly well-maintained single tracks, steep climbs and exciting descents. An advanced 27-kilometre circuit boasts 600 metres of climbing, bridges and rolling drop-offs. Paintballing & Archery: New additions to the activity list, Tala also now offers groups these adrenaline high activities set in the natural bush. Acacia Venue: A private and popular wedding venue, Acacia accommodates up to 120 guests with scenic views through the large glass doors and windows that surround this open-plan structure and open out onto the great wooden deck that stretches out towards the watering hole. The perfect venue to watch Tala sunsets. Figtree Barn: The large farmstead building has been creatively restored to create a magnificent wedding venue perfect for large weddings of up to 250 guests. It also features a Stone Chapel for wedding ceremonies, opening out onto a manicured lawn, perfect for pre-wedding drinks or sun-downers. Leadwood Lodge: At this five-star lodge, a dedicated chef will cater for small and exclusive functions and wedding ceremonies of up to 60 guests. Leadwood Lodge is a place of relaxation and tranquillity and more of an intimate venue available for your special day. iDube Conference Room: Accommodates up to 20 people in a u-shape configuration and 50 cinema-style. Venue hire includes bottled, water, notepads, pens and data projector. Ask us about other equipment. Figtree Auditorium: Fixed concentric desks accommodate 60 delegates. The auditorium is ideal for presentations and meetings with exclusivity and very little distractions other than the sounds of nature. Venue hire includes bottled, water, notepads, pens and data projector.